Located in North Cheam, Surrey, Loads of Vans is proud to stock an extensive range of vans from leading brands. Including the complete new Peugeot van range – equally suitable for individual business owners or those looking for an entire fleet. Peugeot’s commercial van range offers space, reliability and affordability. The Peugeot Bipper is a light van that comes with great green credentials, while the bold Peugeot Partner panel van has plenty of personality. There’s also an all-electric version if you’re looking to reduce your carbon footprint. Other options include the newly redesigned Peugeot Expert now available in automatic transmission and the new Peugeot Boxer. 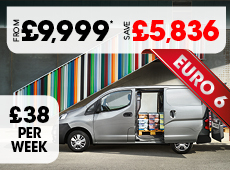 All of these great vans come with hi-tech features such as hands-free sliding doors, Bluetooth connectivity and parking sensors to make your life easier when you’re on the move. Peugeot vans are available in a variety of different heights, lengths and configurations making them customisable to ensure that they do the best possible job for your business. You are able to create your perfect commercial partner. In addition to new Peugeot vans, Loads of Vans can offer flexible finance solutions that are tailored to your business. All you need to do is ask our advisers for their expert advice. Check out the complete range of new Peugeot vans below, and click through to find out more about each model. If you have any questions, you can get in touch via our Live Chat feature, or pick up the phone and give us a call.